WeCanDoBiz combines Customer Relationship Management with online profiles to ensure your customer’s records are never out of date by bringing together all your KashFlow, customer database, email and social networking contacts to more effectively manage your relationships and turn your contacts into customers. The KashFlow integration enables invoicing and full contact management from within WeCanDo.Biz Social CRM. 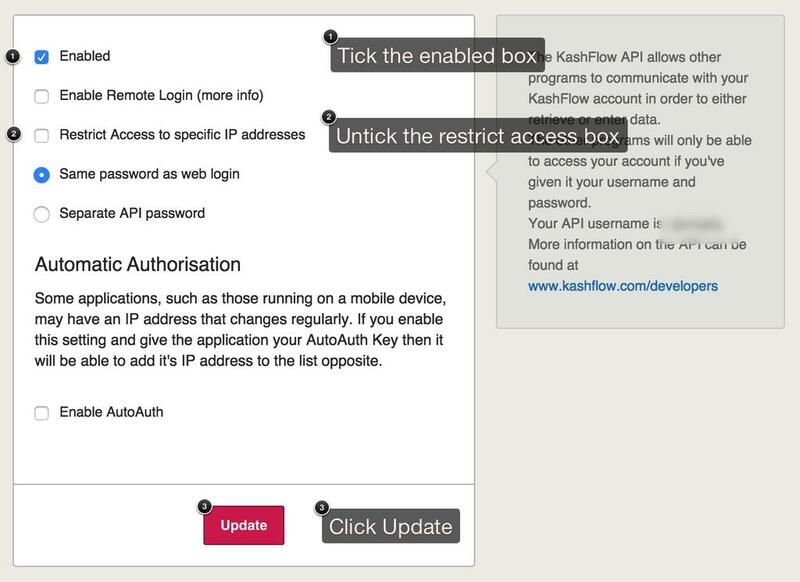 Log into WeCanDoBiz, click the Settings tab on the top right followed by Integrations and then Configure and then enter you KashFlow Username and Password.